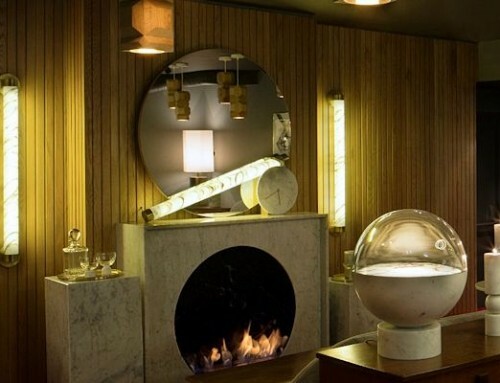 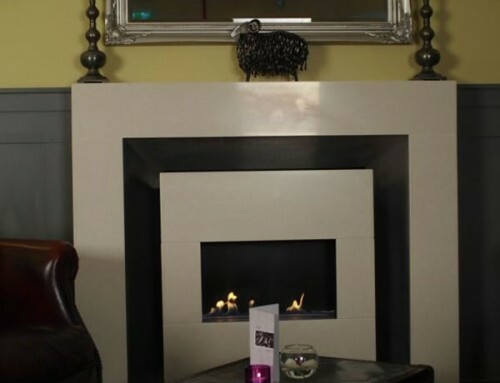 Design – Double sided gas fire bowl installation within a brick built chimney. 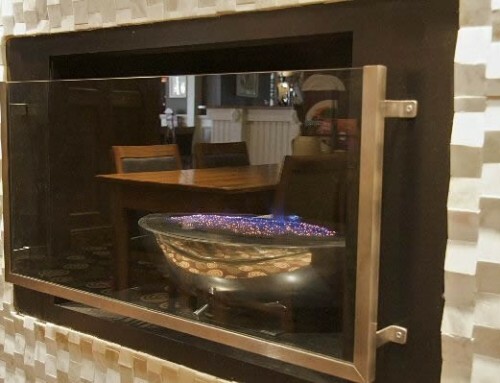 The gas firebowl is installed at ground level on one side and an elevated position on the other. 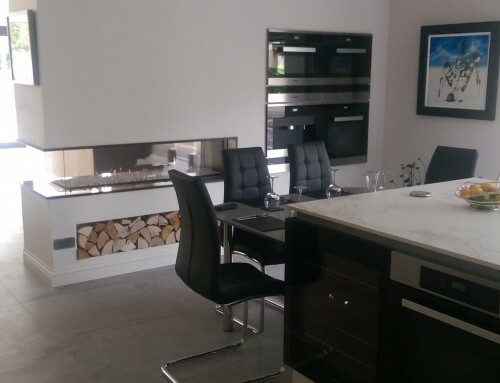 The fire is fitted with glass panels for safety and to improve the draw into the chimney. 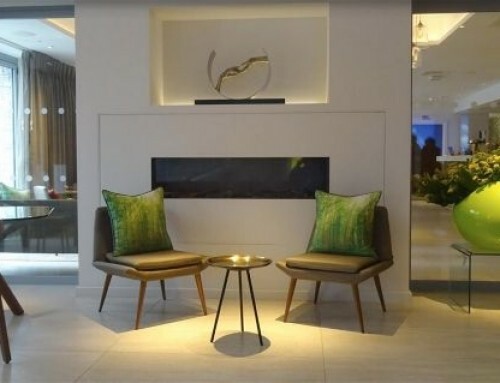 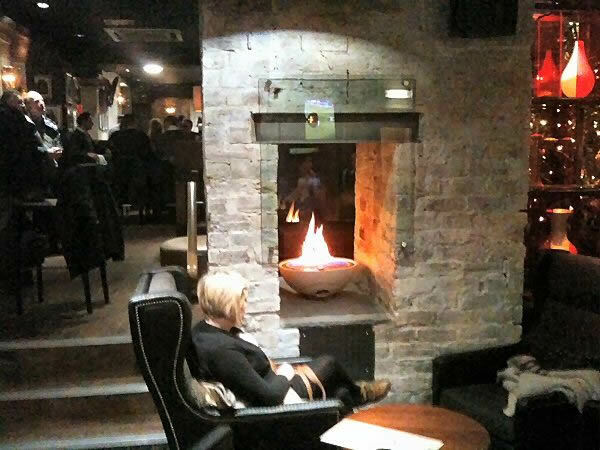 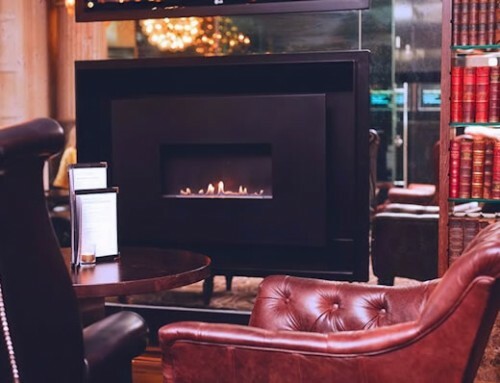 This is a very impressive design with the 14kw gas fire bowl providing a stunning centerpiece to the bar area of the Northumbria hotel.